Nanyang Technological University, Singapore (NTU Singapore), Jurong Port and SP Group (SP) will testbed an artificial intelligence (AI) software that can manage and optimise energy generation in a power network. As part of the S$27 million partnership, NTU and SP have developed an AI-powered Smart Multi-Energy System (SMES) that can manage different energy sources in a network. This includes renewables such as solar power and thermal energy, where it will pick the most optimal energy mix for specific power demands in different situations. To be testbedded at Jurong Port by end-2018, the new energy management system software will allow the port to tap on multiple energy sources, lower energy consumption and carbon emissions, and achieve cost savings. It will be installed in computer servers managing the port's power network, and will leverage SP's digital energy IoT platform that monitors, analyse and optimise energy usage. This not only ensures a stable and reliable power supply with up to 10 per cent in energy savings, but also reduces overall carbon emissions by up to 15 per cent. For example, during periods of high power load on electrical chillers that keep rooms in a building cool, the system will selectively deactivate some chillers, and tap on other sources of cooling such as chilled water from thermal storage units. The system's AI also uses weather data to determine the days that are less suited for solar energy (i.e. cloudy or rainy days) and identify alternative energy sources to supplement power generation. NTU Vice President for Research Professor Lam Khin Yong, said, "Digitalisation and optimisation of energy use are increasingly seen as an opportunity to balance the energy mix and reduce emissions and costs in the industrial sector. Leveraging NTU's strengths in translational research excellence, especially in sustainability, artificial intelligence and data science, this joint initiative offers opportunities to develop innovative solutions in managing the energy supply and enhance energy efficiency in Singapore's industrial estates. This is also a testament to NTU's drive in developing real-world solutions by working alongside leading industry partners." "As Jurong Port continues its journey towards becoming Singapore's Next Generation Multipurpose Port, optimising energy needs in a sustainable manner is critical," said Jurong Port Chief Executive Officer Mr Ooi Boon Hoe. 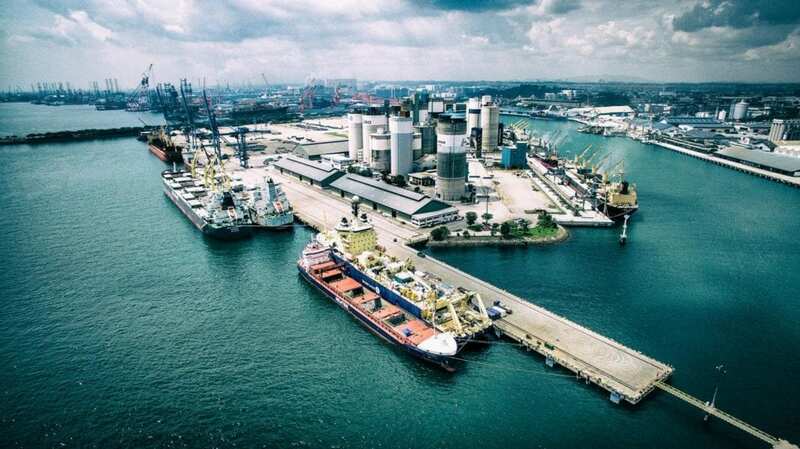 "The SMES project presents Jurong Port with the ideal opportunity to experiment with energy management capabilities under the Living Lab program, enabling the efficient harnessing of various energy sources such as LNG and solar power." Mr Samuel Tan, Chief Digital Officer of SP Group, said, "SP Group's digital energy experts will work closely with NTU and Jurong Port to develop an energy-saving solution that will enhance the world-class reliability and future-readiness of Singapore's electricity network. This will enable us to continue delivering a high-quality and sustainable lifestyle for consumers." The testbedding at Jurong Port is supported by the National Research Foundation (NRF) and nine other companies, and will be monitored for its readiness to be commercialised. The nine companies that are part of this initiative include the Energo Foundation, JTC Corporation, Robert Bosch (SEA) Pte Ltd, Solar Energy Research Institute of Singapore (SERIS), Evercomm Uni Tech Singapore Pte Ltd, Socomec Asia Pacific Pte Ltd, Whizpace Pte Ltd, SolarGy Pte Ltd, and UnaBiz. Jurong Port is a leading international multipurpose port operator. Established in 1965, the port initially served Singapore's Jurong Industrial Estate. Jurong Port has since expanded to serve as Singapore's main general and bulk cargo gateway. Jurong Port's multipurpose port operating expertise includes efficient handling of general, bulk and containerized cargo, management and operations of the Tuas Offshore Marine Centre, and Lighter Terminals in Penjuru and Marina South. Besides Singapore, Jurong Port is involved in overseas joint ventures in China and Indonesia. In 2017, Jurong Port's local and overseas terminals handled about 36 million tons of general and bulk cargo, and over half a million TEUs of container cargo. Jurong Port received the National Infocomm Award for Most Innovative Use of Infocomm Technology (Private Sector – Open) in 2016 and launched Jurong Port Tank Terminals, its petroleum and petrochemical storage business in 2017 as part of its business transformation. SP Group is a leading energy utilities group in the Asia Pacific. It owns and operates electricity and gas transmission and distribution businesses in Singapore and Australia, and district cooling businesses in Singapore and China. SP Group is committed to providing customers with reliable and efficient energy utilities services. About 1.5 million industrial, commercial and residential customers in Singapore benefit from SP Group's world-class transmission, distribution and market support services. These networks are amongst the most reliable and cost-effective world-wide. SP Group also drives digital solutions to empower customers to manage their utilities, reduce consumption and save cost. For more information, please visit spgroup.com.sg or for follow us on Facebook at fb.com/SPGroupSG and on Twitter @SPGroupSG.